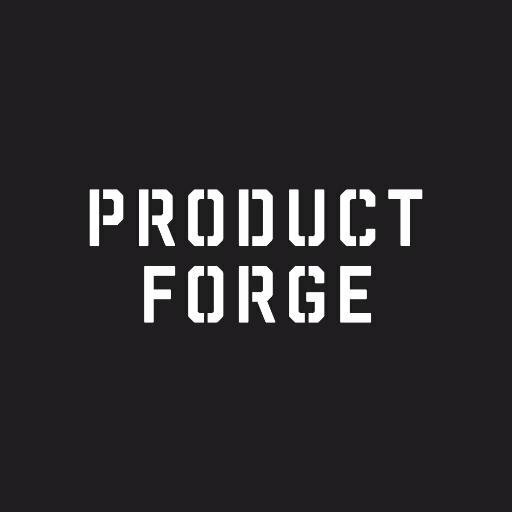 Help find digital remedies for public health challenges - Product Forge is back with a public health hackathon from Thursday 25th to Sunday 28th January 2018 at the Biscuit Factory in Edinburgh. In collaboration with the NHS Information Services Division, the Innovative Healthcare Delivery Programme, Canon Medical Research Europe and Scottish Health Innovations Limited, the Public Health Product Forge will unite the wider technology community, entrepreneurs and medical professionals to create digital innovations that tackle population health issues to ultimately improve the health of people and their communities. The event will cover a variety of themes including childhood obesity, addiction, and mental illness. If you work in public health, are a developer, designer, or are interested in the subject, then this hackathon is for you! Whether you already have an idea that you would like to prototype or you would just like to make new connections, we invite you to come along and meet people with a shared goal of finding digital remedies for challenges surrounding public health. We’re kitting out the Biscuit Factory to make a cosy and welcoming space for you to work on your projects away from the winter weather. We’ll have snug working, chill-out, naptime and mealtime zones and we’ll be serving 10 free meals including hot and hearty dinners, and a special surprise for Burns supper! The venue will be open for 24 hour access, so feel free to stay and work into the early hours. Registrations will remain open until 9am on Saturday for late starting participants. After university Phil joined the Army, holding leading roles in the national level logistic planning for operations in Afghanistan and Iraq and command of a regiment. He first worked for the NHS as Associate Director for Planning, Performance and Practice Based Commissioning for NHS North of Tyne. After which he was appointed Director for Public Health and Intelligence in National Services Scotland. PHI brings together Information Services Division and Health Protection Scotland. Marion worked in a number of hospitals before specialising in public health and later established the Scottish Public Health Observatory. She has worked in local and national Health Boards throughout Scotland, the Scottish Government, and was Medical Director of NHS National Services Scotland. Marion is a Fellow of the Faculty of Public Health and a Fellow of the Royal College of Physicians of Edinburgh. She is currently Co-Director of the Executive Delivery Group for Public Health Reform. Executive Chair at Scottish Health Innovations Ltd.
Graham is an experienced non-exec director with a strong commercial track record as well as a former partner in a Big 4 accounting firm, with extensive experience working with SME clients delivering business development and strategic planning programmes and leading change initiatives. He has initiated and executed over 100 corporate transactions, valued at over £2bn and has lived and worked in Silicon Valley, as well as Scotland during my 35-year business career. Graham Mackenzie worked in general medicine and cardiology before training in Public Health. In addition to his roles in child health, maternal health and quality improvement he explores ways to use social media in public health, looking at ways to network, broadcast, learn and study the spread of health messages globally. He will be speaking about solving complex problems; averages being the enemy of progress; the inadequacy of routinely collected data; and thinking big, starting small and testing fast. Sally is the Digital Innovation Manager for the City of Edinburgh Council, a role including emerging technologies, and innovation activities across the Council and digital developments. She was previously the Council's Web Manager and developed a number of award winning websites including the Council's primary site. Tammy has a lead role in the Council's open data programme, running our portal and encouraging data publication. She also has experience of running hacks and challenge events. Leah helps improve public services through person centered research and design. She's currently working with the Scottish Environmental Protection Agency and is a core organiser of the OneTeamGov network in Scotland, a movement of reform through practical action. Jaclyn is the co-owner of Armchair Books, a secondhand bookshop in Edinburgh's West Port. She previously worked as a public health researcher and on various digital projects in the public sector, but has since thrown it all away to spend her life balancing precariously on the top rung of a ladder, covered in antiquarian book dust. She comes down for meals. Roz is a senior project manager at Realise - a customer experience, design and build agency. She has 4 years of digital project management experience and she is particularly interested in user experience and service design aspects of projects though she also has experience in running large technical projects. Asif works in the Scottish Government leading the development of Public Health Priorities for Scotland, which will be published in spring 2018. He is committed to playing my part to create a healthier Scotland and to help reduce health inequalities. Rod specialises in GIS and spatial data analysis and is helping to set up the core Data Centre, ensuring that the spatial data sets it contains are managed efficiently and to develop an intuitive web mapping front end to display these resources. He has worked on data requirements for organisations including the Met Office and the European Space Agency and extensively with satellite and aerial remote sensing data in the past and is an Associate Fellow of the Remote Sensing and Photogrammetry Society. Peter is a data standards and engineering person with initial training in taxonomy and information modelling through a PhD in microbiology/immunology. He is well versed in assessing data quality and exploratory data analysis and has worked within the Scottish Government and other public-sector bodies to help them use various data in their organisations. He works with the EC and W3C on their data and standards activities and is currently co-chair of the W3C Data Exchange Working Group. Lysimachos is a scientist by training, driven to translate the potential of biomedical and technological innovation to improve our health and lives. he has a solid understanding of innovation and commercialisation processes and a technical background in computational and molecular systems biology. Beyond academia, his professional experience includes drug discovery and digital health. Christina is responsible for data analysis, enrichment and enhancement through statistical programming and machine learning. She recieved her diploma of Electrical and Computer Engineering from Aristotle University of Thessaloniki then worked at the Information Technologies Institute as a Research Associate, doing research on machine-learning-powered social media content verification. Her experience also includes working as a Software Developer focusing on back-end development and data engineering. Ross set up Dogfish Mobile with Paul Burrowes 8 years ago just after Apple launched their iPhone. Dogfish Mobile is an enterprise mobile software development company focusing on the delivering behavior changing solutions for businesses, organisations and their consumers and their employees. He started his career as a management consultant with Ernst & Young and was then invited to join the Management Team of one of its clients, First Choice. David has worked in the national procurement division of NHS Scotland for a number of years and has been involved in the development of tools that can be used by budget holders and procurement professionals to identify opportunities to save money and reduce their overall spend. In addition, a suite of reports for the purchasing system, used by all health boards, has also been developed. Calum is CEO and co-founder of Seed Haus and he has led investments in several high-growth tech startups and supported numerous founders, helping with product market fit, customer acquisition, and strategies for raising early stage capital. He holds a MSci(hons) from the University of Glasgow and a PhD from the University of Strathclyde and a position within Strathclyde Business School, University of Strathclyde where he is responsible for the strategic leadership of the Enterprise Solutions programme. Richmond is Service Manager at NHS Information Services Division responsible for Information Governance, Data Quality, Statistical Governance, Clinical Terminology, Open Data and Transforming Publications. His academic background is in information science. Robert is Currently Head of Public Health Reform Policy in the Scottish Government. Responsible for the structural reform of the Scottish public health landscape, including the production of related high level priorities and the establishment of a new single body for public health. Paul is Proficient, enthusiastic, hands on Business Intelligence Consultant with 15 years experience, currently running data consultancy company focusing on providing data engineering/BI expertise within healthcare. Experience includes BI strategic planning, multi disciplinary team/project management, pre-sales consulting, requirements gathering/ analysis, BI systems design/development, infrastructure implementation and system administration all utilising industry best practice. Stuart is a Strategic Partnering Director with responsibility for the development of partnerships which enable the commercialisation of digital technologies and services in health and care identified by the DHI as potentially disruptive or having significant market potential. He's inspired by the strength of innovation in digital health and care within the Scottish academic and business communities and is delighted to be involved helping to make these ideas become reality. Kirstin has previously worked in a range of roles with the NHS, worked on digital health projects in work and outside for fun and now works with a Scottish Government agency on health policy. She completed her PhD in Biochem umpteen years ago and enjoys poking around in data. She looks askance at unlabelled axes. Areti is a health informatics researcher, applying artificial intelligence techniques to process- and coordination-related problems in healthcare. She also teaches courses that introduce medical students and professionals to data science. Head of Business Development at Scottish Health Innovations Ltd.
Robert Rea is Head of Business Development for Scottish Health Innovations Ltd and holds a BSc (Hons) Developmental Biology, and a Ph.D in Biology. He completed post-doctoral research fellowships at Walter & Eliza Hall Institute, Melbourne, Australia. After which he worked at the University of Queensland before becoming Automation Manager for Swedish biotech company Cellartis and he held the position of Business Development Executive at the University of St Andrews from 2013-2014. Zahid actively works to increase citizen and third sector participation in innovative digital health and care. He is project director of ‘Our GP’, one of the largest co-design projects undertaken in Scotland, through which citizens and professionals collaborated to design future GP digital services. Zahid brings 15 years’ experience in digital and previously worked as a Policy Manager at the UK communications regulator, Ofcom and was the Scottish Government’s Head of Telecommunications Policy.